After researching the data for last month’s blog post about the influence and impact of #hcsm on the broader healthcare social media landscape, it only seemed fair to share my findings with #hcsm creator and moderator Dana Lewis and schedule an interview to chat about the past, present, and future of the #hcsm community. 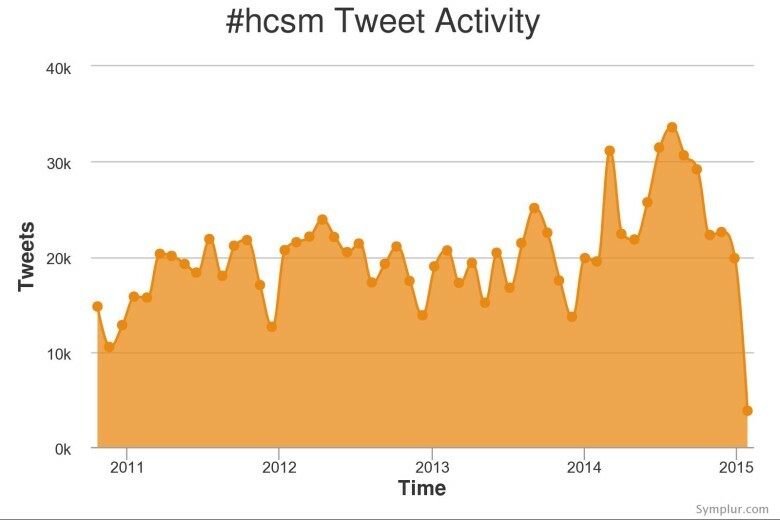 CS: What do you remember most about the first #hcsm tweet chats you moderated? Dana Lewis: #hcsm was not only the first health chat; it was also one of the first big Twitter chats overall. I drew inspiration from the other major chat at the time, #journchat, but otherwise didn’t know what to expect beyond that I planned to ask questions and have a conversation with people every week (because it was fun!). What’s fascinating is that the goals I had in the first conversations, and the goals I have every week even six years later, are the same. And, the rules for the community are exactly the same: don’t shamelessly self-promote or spam; try to stay on topic, and have fun! CS: So much has happened to the landscape of health care conversations both on and offline since #hcsm started, what do you think is the biggest change since those first chats started in 2009? DL: I think the dynamic of health care has changed, and we see it reflected in the chats. We had doctors and patients at the beginning of #hcsm, and we talked about talking to each other, but you didn’t really see that reflect in the offline world, despite our wishes for it to do so. I think the biggest change is the voice and empowerment that patients can get from social media that empower them offline – and the empathy and listening and learning that providers are able to do online is also translating offline. CS: With so many new chats and communities have emerged as a result of #hcsm, do you think that will be its biggest legacy? DL: Perhaps! As you noted, I have never believed it is about the numbers…but I do hope the spirit of conversation and the equal opportunities every person has to join the conversation continues to influence and inform other communities and other aspects of health care. CS: Outside of the growth of patient communities, what do you see as the biggest impact of #hcsm? DL: The “ah-ha” moments I see each week for each group of participants: from patients finding another like-minded patient to connect with or feeling empowered to question or drive their own care; to providers realizing that patients often have a different and valid perspective when approaching their care and it’s worth not only listening but also asking questions of patients to learn; and for representatives from health care organizations of all sizes learning how this all relates to the work that they’re trying to do. CS: Big picture, what topics do you hope to see #hcsm and other communities address in 2015? DL: Privacy. But not only in a “HIPAA and social media privacy” way that’s often talked about (and that is something we’ve been discussing since 2009), but in particular the privacy of our data and other information and the varying access we have to it. For example, just because you can track something – should you? And who, from your family to friends to the health care system and your provider, should see that data? What can and should they do with it? And when should they not take action? There’s a lot of questions rippling out from this theme, and I’m excited to see everyone discuss and learn from each other and help shape the way we think and work with this area. 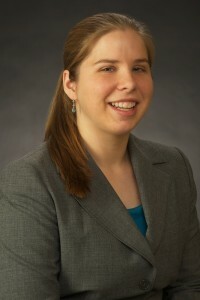 Special thanks to Dana Lewis for sharing her perspective, and for creating one of the most influential healthcare tweetchat communities to-date.